Dr. Maan Bou Saber recently joined HLP Law Firm as an of counsel. Dr. Bou Saber is a prominent lawyer in civil law and has wide knowledge of both the Lebanese and French civil proceedings and procedures, and can thoroughly deal with comparative lawsuits in the MENA region. He has obtained a Phd degree with honours from Universite de Paris 2-France. 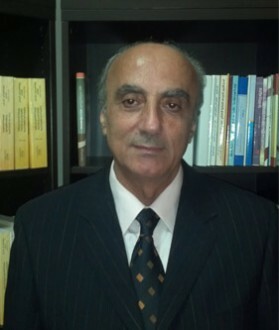 Dr. Bou Saber has published a large number of legal articles covering mainly the theory of contracts and obligations in the UAE as well as other lectures on comparative law, internal and international arbitration. He is at present the Dean’s Deputy of the Faculty of Law at the University of St Joseph in Dubai, since 2008, and a main lecturer in the same university, thus keeping him up to date to the most recent legal proceedings. He is also nominated as an arbitrator at the Dubai International Arbitration Center (DIAC) and a member of the French Committee of Arbitration. His educational background and wide experience in civil law and arbitration are a rich input to the HLP Law Firm and his legal publications are true reliable references, efficient in legal structuring and consultancy. He is also a qualified lawyer in the Bar of Paris since 1993, therefore apt to represent our clients before the French courts.